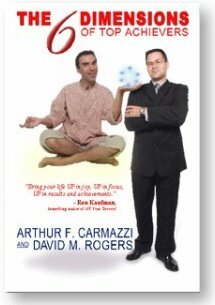 After over 50 interviews with some of the world’s most successful self-made people, Arthur F. Carmazzi and Dave Rogers have found that intelligence is not enough, persistence is not enough, these top achievers possess a number of traits they developed that made the difference. They have fashioned a combination of knowledge and mindset, skill and talent. 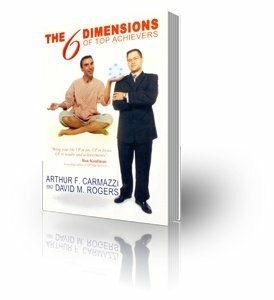 This collection of success ingredients, developed through a series of self-evaluations and step-by-step actions, came to be known as the 6 Dimension.